The law of attraction simply states that events happen because of the energies we give out. This happens regardless if we do it intentionally or not. As the popular song goes, we only get what we give whether deliberately or unintentionally! Since we are all huge magnets of various events in our lives, irrespective good or bad, it makes a whole lot of sense why we must emit only the positive energies so that we can attract only the good. However, this is by no means a guarantee of preventing ill events from coming into our lives because in general, most of us tend to worry about things before they happen. So it is important to bear in mind that it has to be dark for the stars to appear! Things happened for a reason ... learn and move on! We are using the law of attraction every second of every day. You've even attracted reading this post ... maybe because you want to change from the worry-wort that you have become. Remember the Universe merely responds to the energies that we attached to our thoughts and emotions. So know exactly what it is that you want and make the request to the Universe with strong enthusiasm. 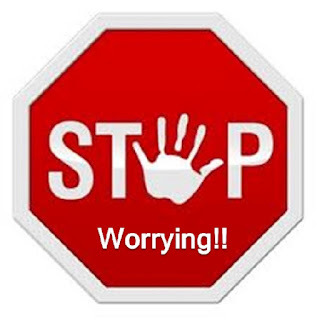 Entrust the Universe with job of worrying for you. All we have to do is simply live the best we can and enjoy an effortless joy for life. Just continually imagine ourselves already living in a world that is everything to our liking.